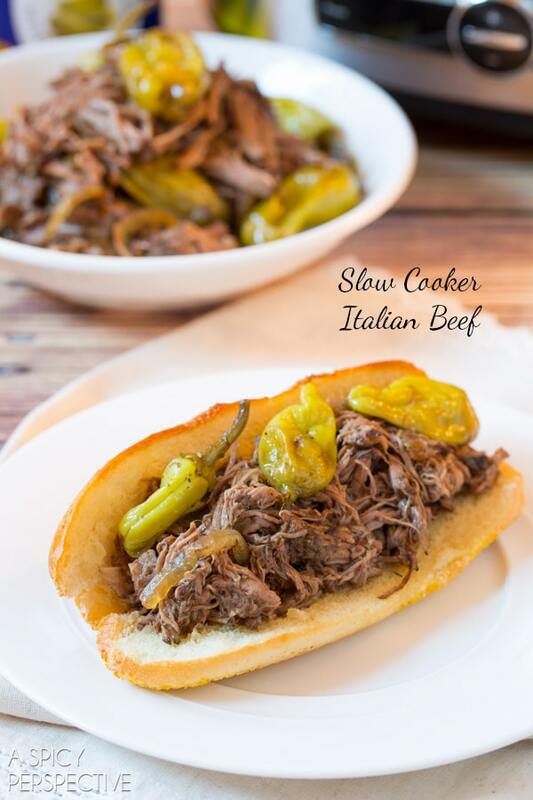 Easy slow cooker Italian Beef Recipe! 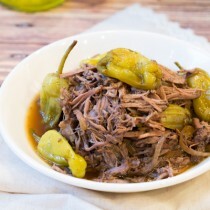 Italian beef you simply throw in the crockpot and forget about, until the aroma calls you back to the kitchen. Sometimes being a wife and parent is smooth sailing and other times, not so much. This fall has been busier than I had expected. Maybe I lied to myself and convinced myself that things will be calmer than the last month, season, year. It’s a cruel mental game, always believing that things will slow down when I get past that next benchmark. Does anyone one else do this, or am I the only crazy person around? Well, let me share a few calming-tricks I’ve learned over the years that don’t involve yoga. 1) It’s important to turn everything off at least an hour before bedtime. All phones, computers, TVs, and devices need to be put away to help your mind move into a peaceful state. I’ve noticed (and have read research) that staring at devices before bed can create issues with insomnia. And of course, less sleep equals more stress! Instead of watching realty TV until midnight, or Facebooking on your phone… try the old school method of reading a book before bed. It does wonders. 2) Set up a family calendar and record everyone’s schedule together. Do this with an online calendar, or even a big white board would work. Take a look at the calendar together at the beginning of the week, so everyone knows what to expect for the next few days. When I’m overly busy, I tend to forget things… and then I get even more stressed. Calendars help. 3) Make time to take walks and long showers. They both help stabilize sanity. 4) Learn to say no. Sometimes there are activities and time-suckers that are “good things” but not necessarily good for our family life, or mental state. Prioritize what’s important to you and your family in the busy seasons and let go of the rest. 5) Dinner is important and it needs to be delicious, comforting, and healthy. Dinner is a time for the family to recuperate and connect. 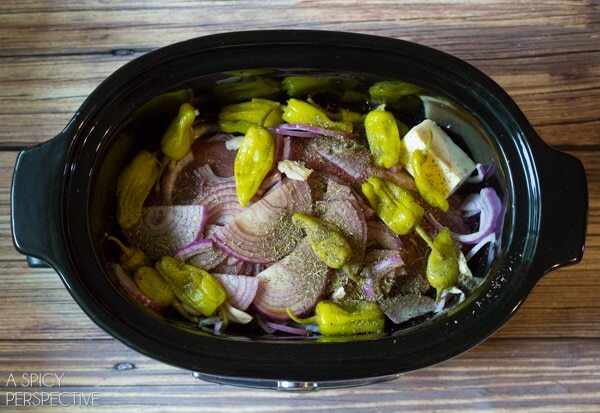 In the craziness of fall activities and sports, my slow cooker is my BFF. Plan your weekly meals at the beginning of the week and make sure to include a couple that are really fast (20-30 minutes to prepare) and a couple slow cooker meals. That way, you can throw everything in the crockpot in the morning, and dinner is ready when you walk in the door at the end of the day. 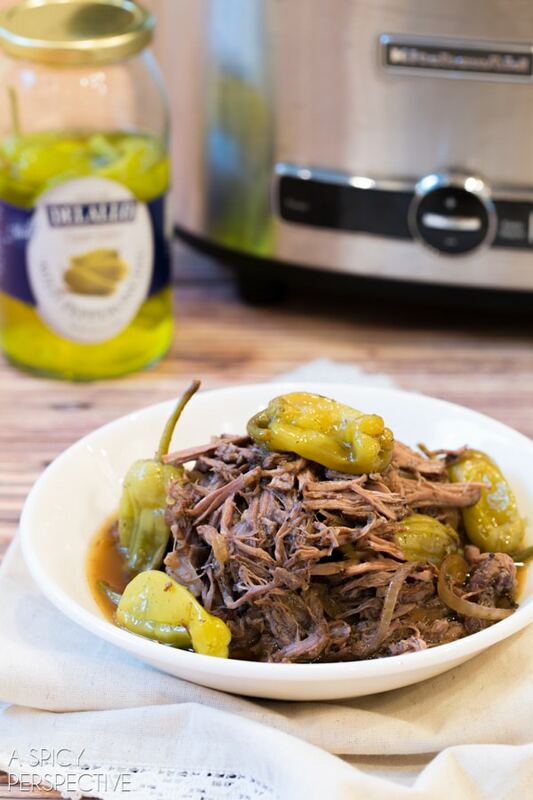 This easy Italian Beef Recipe is a family favorite that everyone gets excited about… and it also happens to be a slow cooker dish. WHOOT! The tangy herbaceous pulled beef makes fabulous sandwiches piled high on toasty rolls, and is wonderful over polenta, rice or pasta. Plus the leftovers are fabulous for days, and it freezes well. Also check out this wonderful Pumpkin Crock Pot Roast! Place the beef roast at the bottom of the crockpot. Place all other ingredients on top of the roast. 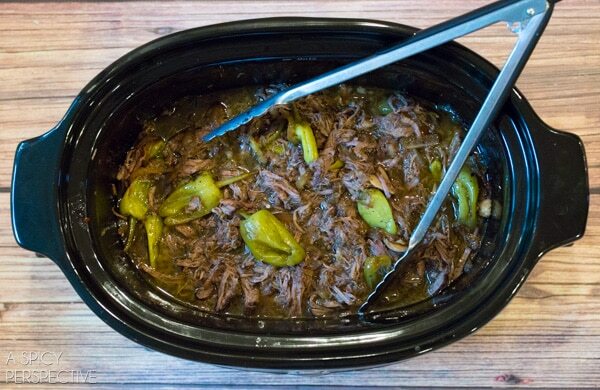 Cover the crock pot and set on high for 4-6 hours, or on low from 8-10 hours. Once the beef is tender and falling apart, use two fork to shred the meat in the juices. Serve warm on toasted rolls, with rice or pasta, or on it’s own.